We will learn how the excretory system relates to the digestive system. Throughout this video, you will experience pauses as prompts for you to answer questions as it pertains to the excretory system. Be sure to set up your paper as Cornell notes, with questions on the left, and answers/notes on the right. What are the organs included in the excretory system? 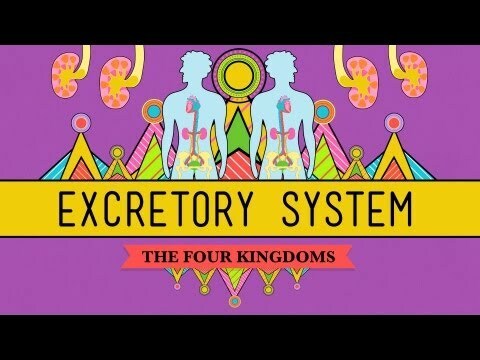 Why is the excretory system important to our bodies? Note: Ammonia is considered to be a salt. Basically, it is an ammonia-converted protein found in urine. Too much of it can be a bad thing. What are the functions of the kidneys? So how much of the water absorbed by kidneys is flushed out as urine? That's basically from here to Orangeburg. Osmoregulation= how the body regulates water. All of these tubes are responsible for helping in this process. Who is the biologist responsible for laying the foundation for the study of the kidneys and the excretory system? What are the three main roles in the Loop of Henle? The excretory system focuses on maintaining the levels of what 3 substances? Less salt is lower concentration. This affects the color of the urine. So clear urine means you're dehydrated. What is the function of the ureter? What is the function of the urethra?